Simulate mouse, keyboard and gamepad, play games, remote desktop,powerpoint presentation, project the phone screen to PC, fileaccess, camera stream to phone, simulate microphone input, systemmonitor, customize layout, create shortcut, etc. Please install PCRemote Receiver on your computer before using PC remote. Downloadthe PC Remote Receiver at our official site for free:https://www.monect.com/ Here are detailed features: • Devicessimulation - Turn your device into a keyboard, touchpad, gamepadand more. • Game play - Play all kinds of PC games with specifiedbutton layouts (race,fly,GTA...). • Customization - Build and shareyour own defined layout. • Multimedia controller - Adjust computervolume, play pause video. Pan tilt zoom UAC cameras. 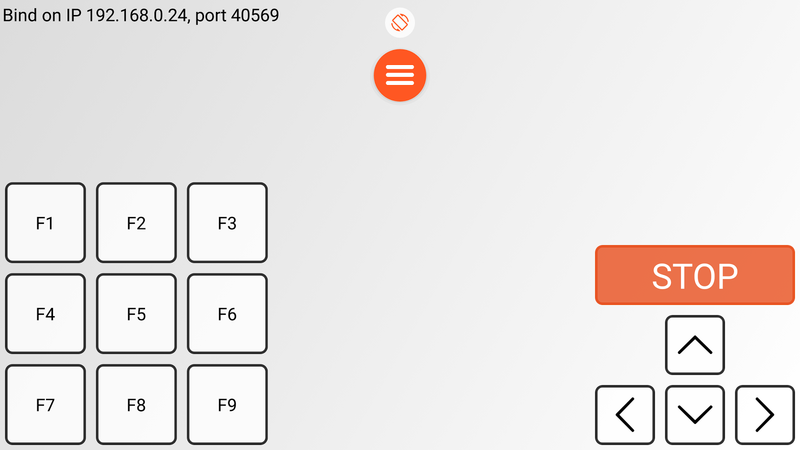 • Remotedesktop - Touch windows on your phone. • Powerpoint presentation-You can see the ppt pictures and notes directly on your phone evenplay select & mark. • Projector - Project phone’s screen,pictures, videos onto PC monitor. • File access - Explore downloadand edit files between phone and PC. • PC Camera stream to phone. •Simulate microphone input of PC. • Create shortcut - Launch PCprogram with on click. • And many more... Note : If cannot connect,please make sure the phone and the pc are in the same network andcheck the firewall setting on PC. This app for checking and configuring gamepads and other inputdevices. Also you can rebind buttons and axes via .kl files (needroot). Bluetooth/OTG Gamepads. Functions: - show pressed buttonsand axes - create, read, write, delete .kl files - make backups andrestores .kl files - show info about connected devices Remember !! !When using root-permissions, you do all actions with your phone atyour own risk !!! No one is responsible for your actions! Beforeany actions, make a backup! Play Android games with Gamepads🎮, Mouse🖱 & Keyboard⌨! Mapperipherals to touchscreen. No root or activator required! ※Octopus is the most professional and easy-use keymapper. ※ 🐙Support almost all apps Octopus Gaming Engine supports most appsand games, you can add whatever you want to play. 🐙 PeripheralsCompatibility Octopus supports gamepads, keyboards & mouses.Xbox, PS, IPEGA, Gamesir, Razer, Logitech... 🐙 Preset Key MappingPreset key configuration for 30+ featured games. No time wasting onsetup. 🐙Different modes for various Games 2 basic modes: Gamepadand Keyboard and many special modes for specific games likeAdvanced Shooting mode for FPS games, Smart Casting mode for MOBAgames. 🐙 Highly customizable Besides preset keymap, you can defineyour own keymap. Octopus provides 20+ various control component topower up your gaming experience. 🐙 Gaming Recorder Octopusintegrated with Screen Recorder, letting you record each of yourcombat. 🐙 Gamepad Calibration For some unstandard gamepad orcontroller, Octopus provides the Gamepad Calibration featureallowing you to calibrate your device. 🐙 About Permissions Due tothe working mechanism of Octopus, it requires the same permissionswith games you play. In order to cover all games, Octopus needsmany permissions to work properly. We guarantee Octopus won't abusethese permissions! Pick your gears and start a brand new mobilegaming experience! Have fun! nJoy is a complete PC remote controlling solution!nJoy includes agaming joystick layout and a comprehensive desktop controllayoutconsisted of media controls, web surfing and text input options,anefficient and easy to use mouse controls and more...!nJoy makes useof a Wi-Fi or internet connection for communication with a PC.Thus,the effective range of a Wi-Fi signal is not an issue.The device's3G connection can be used if the wifi connection is inefficient ornot available.The gaming joystick allows you to use your phone as agame controller,much like an actual gaming console controller forany game by assigning keyboard and mouse actuations!A multi-touchinterface consisted of a left analog stick and on screen actionbuttons is coupledwith the device’s accelerometer to enable fullgame control!Multiple android devices can be connected to a singlePC to allow split screen gaming.nJoy media controls allow remotelypausing and resuming as well as skipping between tracks. Mousecontrol is implemented with a track pad, similar to a laptop trackpad solution. Finger gestures are available for zooming, swipescrolling and maximizing/minimizing windows.nJoy includes furtheroptions such as closing windows, go to desktop, accessinglibraries,loading websites, running applications and muchmore...-------------------------------Added support for XperiaPlay! - Please note that the L and R buttons are the virtual nJoy Gand H buttons of the 6 button layout.